I have been a runner since college. First casually, and then in my 20s I became more competitive, running in 5Ks, 10Ks and even a half marathon here or there. I am a different person than I was when I started running, and a lot has changed in the science of running since then as well. Training remains basically the same (stretching, running, eating right, pushing yourself to set and meet goals) but the technology behind the training is much more advanced now. We didn't have smart phones when I was in college, and it goes without saying that we didn't have apps to help with exercise. Today there are a wide variety of apps that can chart my course, keep track of statistics, and push us to meet and then set new goals. It can be difficult to sort through all the options so I have listed a few of my favorites, and why I think they are better than the others. 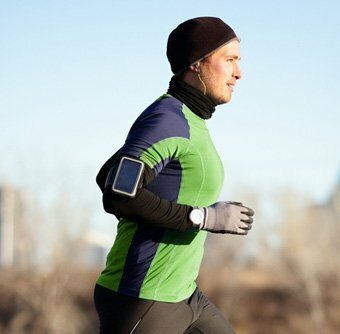 A well-designed app for both casual joggers and professional runners, Runkeeper is simple and easy to use and keeps real-time statistics. This app is especially good when you are running in an area where you are not familiar as routes can be pre-planned on this app, just like Gmap Pedometer. Added features include an audio guidance system and a link to your Spotify library (Spotify account not included) so the music and guidance are seamlessly integrated into your run. You can set your long-term goals for distance, like a marathon, or for losing weight. RunKeeper will keep track of your stats for later access. One added feature allows you to select from a number of advanced training plans which are designed by fitness coaches. While the app is available for free, by upgrading to the premium version (Runkeeper Go) you have access to deeper analysis, statistics, and more personalized training plans. If you are a competitive runner like me, then Strava is one you may certainly enjoy. It contains all the standard statistics that many apps have such as speed, pace and calories burnt. However, what sets Strava apart from the rest of the pack is the network. You can see how you stack up against the timing of runners in your area, or against some of the best runners around the world. Apart from tracking key statistics like pace, speed and calories burnt like other fitness apps, Strava also has performance metrics such as the "Suffer Score" which measures how hard you are working. It also has a Power Meter analysis which tracks your performance as it changes by the second, and Race analysis which is a visual breakdown of your pace over a specific stretch. Strava pulls up list of different segments on your route while you’re on the run, and tells you how your timing stacks up against other runners around you. You can also set goals specific to your run such as distance, time, power, or goals of particular segments. 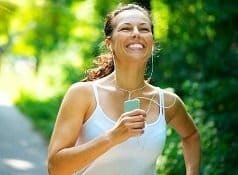 This is a great community app, allowing you to connect and socialize with other runners in your area. Strava will rank runners based on performance so you can compare with those in your network. If you are an alpha runner who thrives on competition, Strava makes every run a race against yourself and others. This website created by a marathoner is easy to use, sparse, and highly functional. While other apps might be flashier and have more features, Gmap Pedometer is reliable and gets the job done. If you are a fan of Google and their products, you will be a fan of Gmap Pedometer. 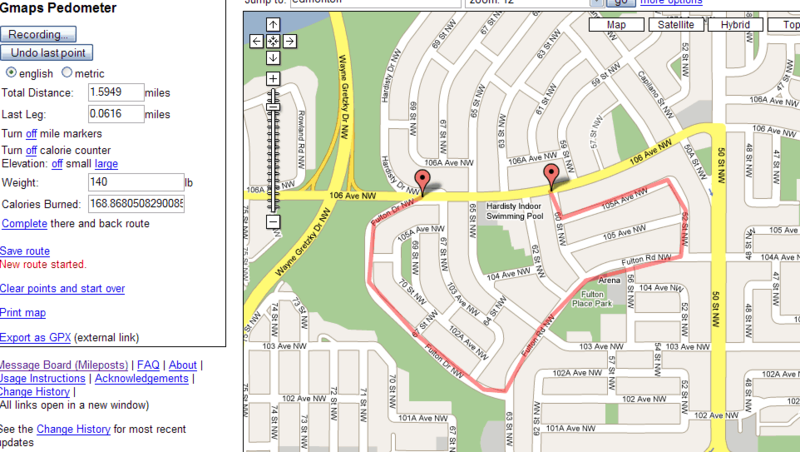 You trace your route on a Google Map on the computer by placing markers on the path. Gmap Pedometer connects the markers, and will even adjust to reflect curving and winding roads so you don't need to travel in straight lines. Reviewers have raved about the accuracy of the distance. This allows you to travel where you want and for the length you desire. Once you save it becomes a unique web address that you can use and share with others. It works equally well in both English or metric units, so miles or kilometers are both easy to program. If you are less competitive and not interested in the pace of those around you, MapMyRun may be more your speed. This app comes in two forms, as a free download and what is called the MVP level, which is limited to paying customers. 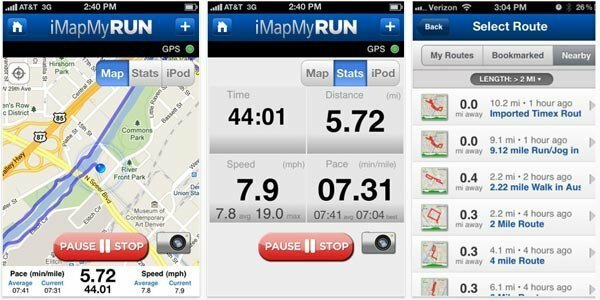 Like most apps it uses the GPS on your phone to track your speed, distance and route. Your stats can be delivered to you visually or via voice prompts so you can keep your eyes on your path. MapMyRun is also convenient for other activities than running. For example, you can use this app to track your progress while walking, hiking, or even bicycling. You can select a route you have created or saved, or use a route that other users have saved. 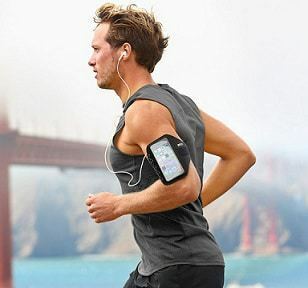 You can play music from your phone's music app while running. Anything fancier and you need to upgrade to MVP. These pay options include audio coaching, heart rate zone settings, and others. Also, the community on MapMyRun is large and diverse, since the site has been around for well over a decade. At their online community you can find running buddies, supporters, coaches, and a world of resources both locally and around the world. This fitness app has a lot of features helpful to runners and all exercise enthusiasts. 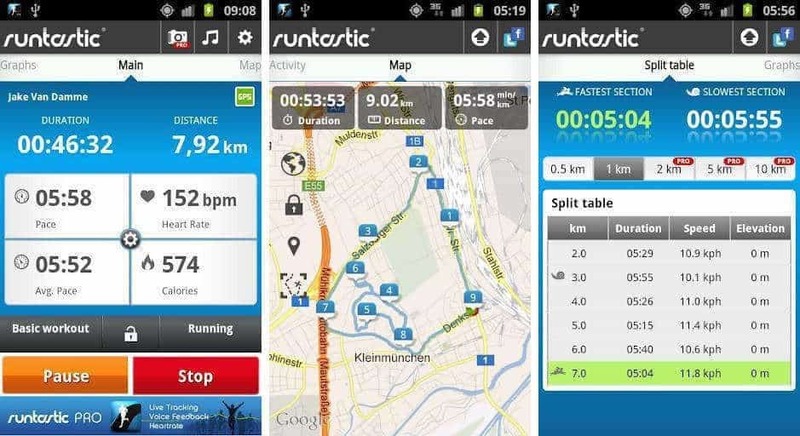 Like MapMyRun, Runtastic is good for more than running: biking, skiing, kayaking, snowboarding, and others. In addition to the vital statistics that all apps have such as speed, distance, duration, and calories burned, Runtastic has information about weather, running surface, heart rate, and other variables. Your goals don't have to be distance related, either. You can set goals for pace or calories burned. Other features include a built-in audio coach, Auto-Pause which pauses when you stop moving, Runtastic Wearable Connect with provides insights on your workout, Live Tracking & Cheering which allows you to upload photos and send and receive cheers in real time, and a Running Leaderboard which highlights the top performers of the week and month. However, one of the best features is the Runtastic Earth View, which if you have the Google Earth app you can watch your workout in 3D! With today's technology, running is no longer just you and your sneakers. If you want, you can keep track of your progress, set and meet goals, and interact with an entire community. Due to the functionality of the apps listed above, you can set up a running program near you live, or wherever you happen to be on business or vacation. These apps provide knowledge, safety and support for making sure you get the most out of your experience. Whether you are training for a half marathon or marathon, looking to lose weight, or looking to join a community of like-minded runners, these running apps will help you get started, stay engaged, and meet your goals.